Glioblastome multiforme is the most common form of brain cancer and diagnosed patients have a life expectancy of less than two years. In spite of the fact that its diagnosis is very good, an appropriate treatment remains elusive. The use of animal models can help to provide a basis for treatment testing, but it is vital that they mirror the clinical cases as closely as possible. Once the models are established treatment research can begin. Oncology labs are bringing the power of Preclinical MRI to bear in the goal to bridge the still significant gap between diagnostics and treatment. The free webinar will give you an invaluable insight into current research by renowned scientists who are using animal models for preclinical research. The webinar will equip with you an understanding of both the requirements and the benefits of using MRI for glioblastoma and additional forms of cancer, together with an informative overview of compact MRI. 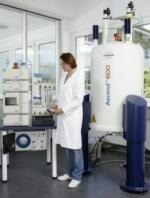 NMR in Standardizing Biomarkers for Personalized Medicine: Where Do Biobanks Come in?